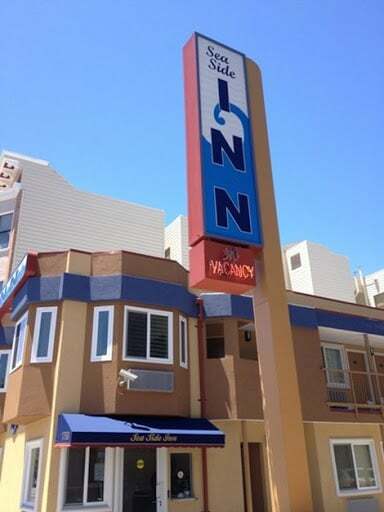 Welcome to Seaside Inn San Francisco! We hope you enjoy your stay at Seaside Inn! If you’re looking for a room near Golden Gate Park, Seaside Inn is the hotel to check in at. We provide free Wi-Fi, flat-screen TV’s and a private bathroom with marble tiling. Styled in dark wood furniture, each room includes comfy white linens. In addition to being a Great Location, we are just a walk away to many great restaurants. Free Parking & WIFI with a great connection is guaranteed at our friendly motel. We like to make guests feel like home in the Marina District. The best of San Francisco is within easy reach. Go ahead and call us today and book a room. The Seaside Inn is moderately priced, offering a wide range of features, amenities and discounts for vacation travelers, for a romantic weekend getaway or fun family vacation. We offer comfort and convenience with easy access to city transportation and many of San Francisco’s best-known historic monuments, shopping malls, and nightlife only steps away from our comfortable rooms. "Wonderful Inn in the middle of everything you'd like to visit in San Francisco. The rooms are very clean. And the management staff are very courteous and attentive." "Clean, comfortable, wonderful staff. "